Rozerem works by regulating a part of the brain called the suprachiasmatic nucleus, or master clock, said Mini. The master clock sends signals to the body that make it feel tired after a certain period of time without sleep. The master clock is influenced by various factors, including the amount of light that it receives through the retinas. Rozerem regulates the master clock when it fails to work properly in insomniacs. [Rozerem] is different from everything else that exists. This is really a drug that promotes sleep without sedating. Essentially this is a break-through in sleep medicine. Rozerem (ramelteon) drug information, dosage, side effects, drug interactions, and warnings. Rozerem, generic drug name ramelteon tablets, is the first of a new class of prescription sleep aids. Rozerem acts on two melatonin receptors in the brain, as opposed to targeting the GABA-A receptor. Rozerem (ramelteon) is a sedative, also called a hypnotic. It works by affecting certain substances in your body that help regulate your "sleep-wake cycle." Rozerem is used to treat insomnia that is associated with having trouble falling asleep. Long-term sufferers of insomnia who have not found lasting relief from such sleep aids as Ambien or Sonata should consider researching Rozerem, the only medication of its type approved in the treatment of sleeplessness. Rozerem (ramelteon) is the first of a new class of insomnia drugs: melatonin receptor agonists. These are similar to the naturally-produced sleep hormone melatonin, which your body needs for healthy sleep cycles. 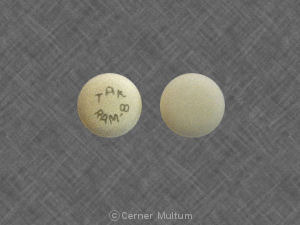 Rozerem, manufactured by Takeda Industries North America, was approved by the FDA in July 2005 for the treatment of delayed-onset insomnia. It emerged against a backdrop of other classes of drugs to treat the condition — and it has some important differences.